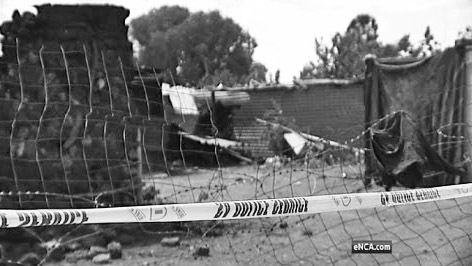 Residents in Khutsong location were neglected by the police many times, and that is why they ended up taking the law into their own hands in late 2013. It all started when gang members killed some people, and cut off their body parts. Some then killed each other too. When the gang members attended the funeral of their fellow members, the police escorted them to the graveyard. But the gang members managed to rob people of their belongings on the way to the graveyard — in front of the police. The South African Police Services (SAPS) is failing us. Soon after the incidents, many police were deployed to raid the location. But they arrested many innocent people for nothing, yet the gangsters remained free. In South Africa the police are among the ones doing crime. As we have seen in the past, our senior police officials have been facing corruption charges, including two former National Commissioners, Jackie Selebi and Bheki Cele. And look what happened at Marikana, but the current police Commissioner Riah Phiyega is defending the acts of the police in the massacre. The police shoot people, so it is clear that the police are against us. They are not here to defend us in our new so-called democracy.